Well…for starters, when people are surfing around on social media your profile is the first thing that they come in contact with. And in most cases with social media networks, you only have 150 characters or less to make a great impression. Use your words wisely! There is no reason to go stuffing your profiles with useless words that don’t mean anything to the people they will matter to the most: your visitors. Your profiles should encourage your visitors to click to learn more about who you are and what your business does. Think about it this way: When you are browsing around on social networks, are you more likely to trust: A user with no profile picture, a logo and a username with a ton of alphabets or someone with a personable photo, a username and an inspiring bio? If you’re anything like me, you would definitely trust someone with the latter profile more. Besides, people want to connect with people on social media, not logos. You don’t want to blend in with all of the other million people on social media. Am I Right? Well, then you definitely need to brand your social media profiles with consistent color schemes and etc. If you want people to take notice of your profiles, then one of the ways to do it through visual branding. From your Twitter profile to Your Facebook page, to your Pinterest account, all of them should both have the same look and feel. If you are a writer that helps busy bloggers, say that in your profile. If you create websites and blogs for businesses, say that. You just need to make sure that when people visit your profiles, they can walk away with clarity — knowing what it is that you do. Ladies, please don’t use logos in the place of your profile picture. People don’t want to connect with a logo, they want to engage and connect with people. I understand in certain circumstances that you may have multiple profiles: one business related and one personal. But, in my experience with using social media, profiles with pictures of “real” people tend to do a lot better than profiles with logos. Oh and another thing, try to use the same picture or a variation of your picture on all of your profiles. Give your readers a reason to follow you. One of the ways to do it is with sharing helpful content. With social media, there’s a time to promote, then there’s a time to share stuff that matters to your community. I hope that these tips have been helpful for you. 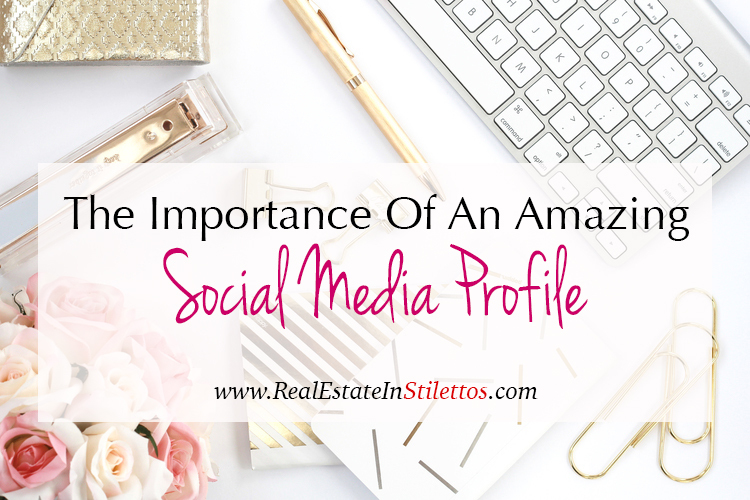 I know that for most people, putting much stock into social media profiles is an afterthought. But remember, in the world of social media, your profile is the first thing that people see. Use these tips to build profiles that make a lasting impression on your audience.